The former Marshalls’ space on Boylston Street is about to be transformed into the “most Instagrammable” pop-up in town. Happy Place, a pop-up exhibit that began in LA before traveling to Toronto and Chicago, is taking up residence in Boston Back Bay from April 5 – June 2. 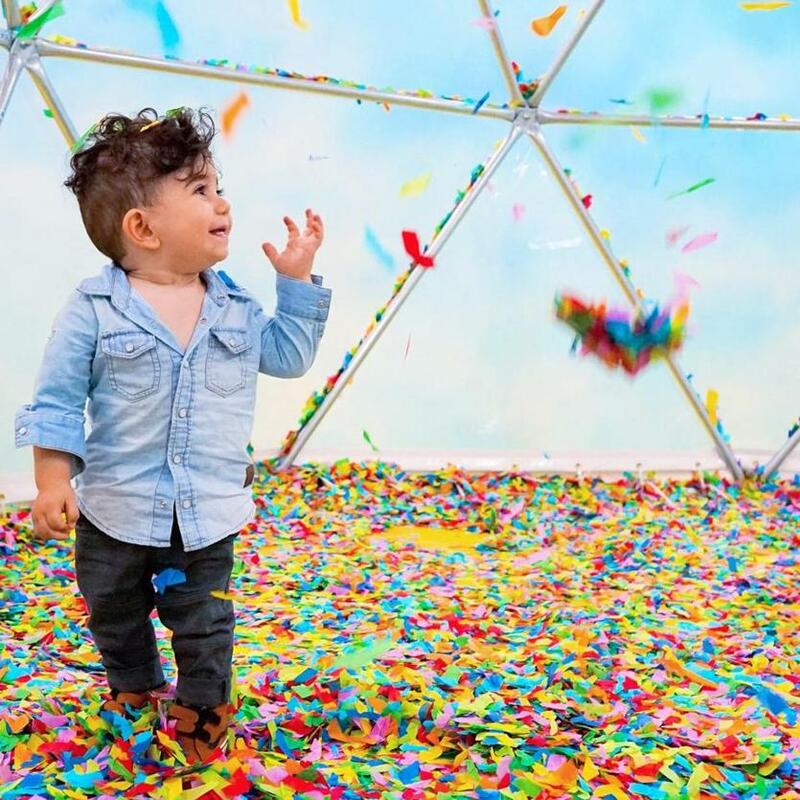 The exhibit is comprised of twelve rooms, each with a unique theme: confetti (seen above), cookies, flowers, and more. Think, being fully immersed in something that makes just about everyone happy. And it’s infinitely ‘grammable — a quick peak on social media will show you shots from celebrities like Hillary Duff, Diplo, Kerry Washington, Marshmello, Olivia Wilde, Rashida Jones, JoJo Siwa, and Joey McIntyre. Tickets are on sale March 22 here. Grab yours before they sell out!